PBS are expert project managers, having managed large projects and organizations for many years. Given the high rate of project failures, you might think that companies would be happy to just have their project finish with some degree of success. That’s not the case. Despite the odds, organizations expect projects to be completed faster, cheaper, and better. The only way that these objectives can be met is through the use of effective project management processes and techniques. This list outlines the major phases of managing a project and discusses key steps for each one. Approach: How will the migration project unfold and proceed? Organization: Show the significant roles on the project. Identifying the project manager is easy, but who is the sponsor? It might be the CIO for a project like this. Who is on the project team? Are any of the stakeholders represented? Once the project has been planned sufficiently, execution of the work can begin. In theory, since you already have agreement on your project definition and since your workplan and project management procedures are in place, the only challenge is to execute your plans and processes correctly. Of course, no project ever proceeds entirely as it was estimated and planned. The challenge is having the rigor and discipline needed to apply your project management skills correctly and proactively. A small variance in schedule or budget starts to get bigger, especially early in the project. There is a tendency to think you can make it up, but this is a warning. If the tendencies are not corrected quickly, the impact will be unrecoverable. 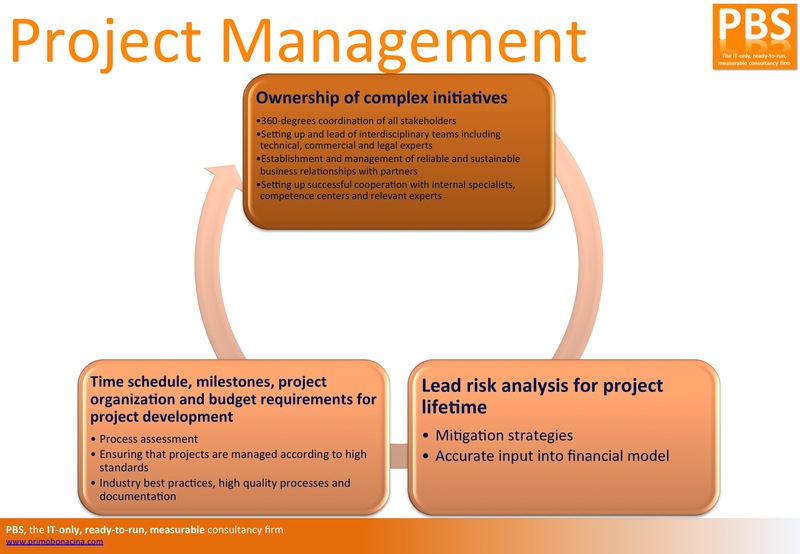 After the basics of managing the schedule, managing scope is the most important activity required to control a project. Many project failures are not caused by problems with estimating or team skill sets but by the project team working on major and minor deliverables that were not part of the original project definition or business requirements. Even if you have good scope-management procedures in place, there are still two major areas of scope-change management that must be understood to be successful: understanding who the customer is and scope creep. In general, the project sponsor is the person funding the project. For infrastructure projects like an Exchange migration, the sponsor might be the CIO or CFO. Although there is usually just one sponsor, a big project can have many stakeholders, or people who are impacted by the project. Requests for scope changes will most often come from stakeholders — many of whom may be managers in their own right. One manager might want chat services for his or her area. Another might want an exception to the size limits you have placed on mailboxes. It doesn’t matter how important a change is to a stakeholder, they can’t make scope-change decisions, and they can’t give your team the approval to make the change. In proper scope-change management, the sponsor (or a designate) must give the approval, since they are the only ones who can add funding to cover the changes and know if the project impact is acceptable. Most project managers know to invoke scope-change management procedures if they are asked to add a major new function or a major new deliverable to their project. However, sometimes the project manager doesn’t recognize the small scope changes that get added over time. Scope creep is a term used to define a series of small scope changes that are made to the project without scope-change management procedures being used. With scope creep, a series of small changes — none of which appear to affect the project individually — can accumulate and have a significant overall impact on the project. Many projects fail because of scope creep, and the project manager needs to be diligent in guarding against it. When the planning work is occurring, the project team should identify all known risks. For each risk, they should also determine the probability that the risk event will occur and the potential impact on the project. Those events identified as high-risk should have specific plans put into place to mitigate them so they do not, in fact, occur. Medium risks should be evaluated to see whether they need to be proactively managed. (Low-level risks may be identified as assumptions. That is, there is potential risk involved, but you are “assuming” that the positive outcome is much more probable.) Some risks are inherent in a complex project that affects every person in the company. Other risks may include not having the right level of expertise, unfamiliarity with the technology, and problems integrating smoothly with existing products or equipment. Issues are big problems. For instance, in an Exchange migration, the Exchange servers you ordered aren’t ready and configured on time. Or perhaps the Windows forest isn’t set up correctly and needs to be redesigned. The project manager should manage open issues diligently to ensure that they are being resolved. If there is no urgency to resolve the issue or if the issue has been active for some time, it may not really be an issue. It may be a potential problem (risk), or it may be an action item that needs to be resolved at some later point. Real issues, by their nature, must be resolved with a sense of urgency.